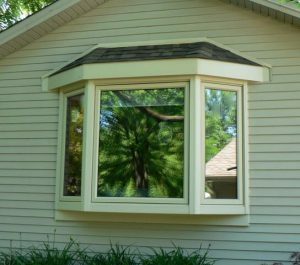 Do you know the difference it can make to install replacement windows and doors in New Berlin, WI? These products have an impact on the appearance and function of the property. If you feel like it is time for renovations, then you need to talk to an experienced installation team for personal recommendations. The energy efficiency of your home is important because it affects the amount of money that you will spend on utility costs. Many homeowners are frustrated because utility costs are going up. Even though the rates are increasing, you don’t need to spend a lot of cash on your utility costs. Instead, you can install replacement doors and windows to improve energy efficiency and reduce your ongoing spending. How stylish is your home? You need to be proactive with curb appeal to be sure that you are setting a great impression when people come to visit. The appearance of your home will leave a lasting impression on family and friends. New doors and windows will change the style of the home, helping you with the latest trends and features in the industry. At the same time, these upgrades can help with indoor appearance as well. Not only will the new windows brighten the rooms by bringing in more natural light. But, the stylish frames and colors can boost your interior décor. The doors and windows in your home should be easy to open and close. If you struggle every time you want to open the window, then it could be a sign that you need to invest in replacement materials. Over time, it is common for the outdated materials to warp or become damaged. Don’t fight against the window frames. Instead, install new materials that make it easy to improve the function of your home. Did you know that replacement doors and windows can have a positive impact on your family finances? The money that you spend on the installation can come back to you in the form of higher property value. You can ask for a fair price when you are ready to sell. Then, that extra equity can be rolled into the purchase of your next home. At the same time, you will love the financial benefits that come from reduced utility bills. Saving money on utility spending is important if you want to manage your monthly costs.